The position of columns is arbitrary. The name of the column is arbitrary. The number of columns in a transaction table is arbitrary. A transaction table can contain other columns not specifically used by Profitability Management. Each value identifies the row (in a custom dimensions table) for this transaction. Numeric values that are used in a rule's driver formula to calculate the driver quantity for a transaction. The number of columns that are used to calculate the driver quantity for a transaction is optional. (0 to n) optional You can add any number of optional text or numeric columns of any length to a transaction table. For example, you can use an optional column for matching fields in a behavior table. 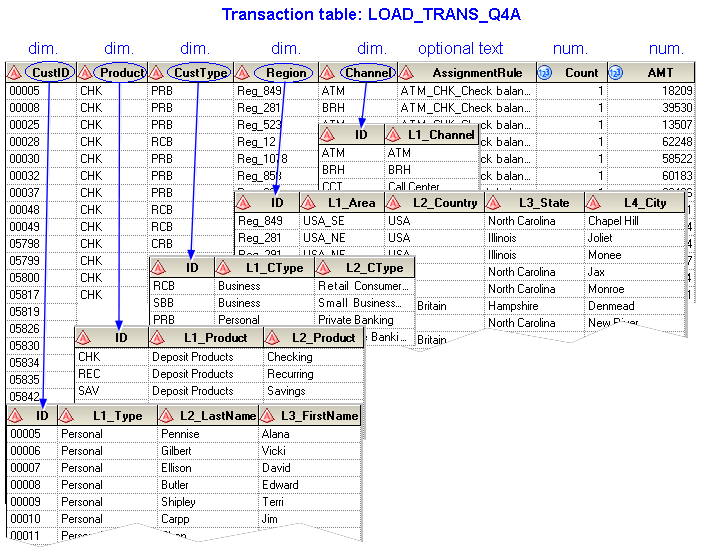 The dimensions of a transaction are specified in custom dimensions tables. 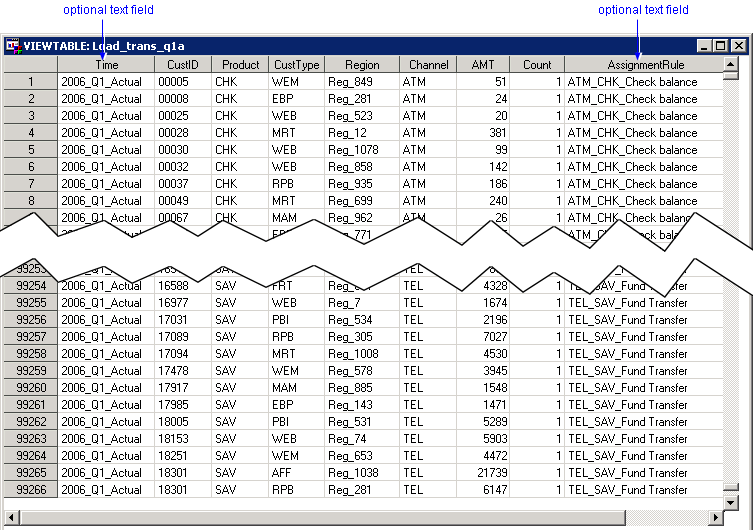 The following picture shows the mapping from a sample transaction table to different custom dimensions tables. Note: When transaction tables in different transaction table groups map to the same custom dimensions table, the column names in the transaction tables must match. Otherwise, the table joins to create the OLAP cube will fail.